This is comprehensive video/vimeo-based and Html5 streaming curriculum for those with a burden for growing deeper in Christ through spiritual disciplines. It is probably best used by individuals, or better yet, groups of believers who want to learn more about the practice of spiritual disciplines in a weekend workshop, retreat, or in a small group setting. 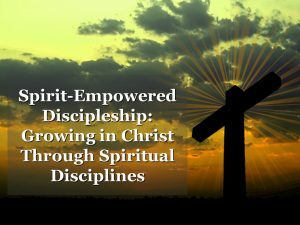 The Spirit-Empowered Discipleship seminar series contains seven sessions that vary from 20 – 35 minutes deliverable to just about any digital device you might use. It is available with a companion workbook in pdf format free of charge. This valuable training tool will help you and your team learn more about the biblical principles for Spirit-empowered growth and develop a hunger for a deeper relationship with Christ. Click HERE to see the Seminar Overview Video (coming soon). Click on Add To Cart to purchase a video download license. 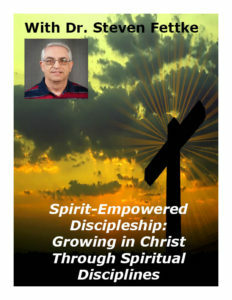 The entire series with the pdf workbook is yours for a $20 donation to Barnabas Missions. You will be taken to PayPal. After you have paid you will be redirected to the video page where you can view/stream or download the 7 videos and download the pdf version of the companion workbook. A PayPal account is not necessary to purchase. You purchase an individual license to download/view one of our videos by clicking on Add To Cart and paying for it through Paypal. You are sent to a download/viewing page with a description and hyperlink for accessing the video through Vimeo which makes it available for streaming or download – based on your preferences. Would you like to provide a donation to Barnabas Missions so some individuals who cannot afford the training can obtain access to our materials? Please email us at office@barnabasmissions.org to find out how you can contribute to this worthy cause for equipping those who cannot afford the training otherwise. If you would like to pay by check or money order (U.S. only), you can do so by sending a check in the amount of $20. to us by mail. We will send you the appropriate links by email once we receive your payment.